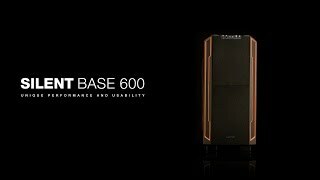 SILENT BASE 600 | WINDOW SILVER silent premium PC cases from be quiet! be quiet! Silent Base 600 Window Silver offers the perfect symbiosis of noise prevention and cooling performance, good usability and extensive capacity for high-end hardware.